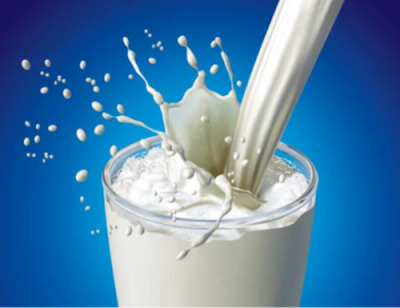 Milk is a liquid produced by the mammary glands of mammals and is colored white. It is the primary source of nutrition for young mammals before they are able to digest other types of food. Although the nutrient composition of raw milk depends on the species, all milk contains significant amounts of saturated fat, protein and calcium as well as vitamin C.
It is obvious that milk is a very healthy drink, a recent study supported long standing claims that milk has a positive effect on brain development and performance. Researchers at the University of Maine put more than 900 men and women ages 23 to 98 through a series of brain tests – including visual-spatial, verbal and working memory tests – and tracked the milk consumption habits of the participants. In the series of eight different measures of mental performance, regardless of age and through all tests, those who drank at least one glass of milk each day had an advantage. The highest scores for all eight outcomes were observed for those with the highest intakes of milk and milk products compared to those with low and infrequent milk intakes. The benefits persisted even after controlling for other factors that can affect brain health, including cardiovascular health and other lifestyle and diet factors. In fact, milk drinkers tended to have healthier diets overall, but there was something about milk intake specifically that offered the brain health advantage, according to the researchers. The Milk Processor Education Program (MilkPEP), Washington, D.C., is funded by the nation's milk processors, who are committed to increasing fluid milk consumption. The National Fluid Milk Processor Promotion Board, through MilkPEP, runs the National Milk Mustache "got milk? "® Campaign, a multi-faceted campaign designed to educate consumers about the health benefits of milk. For more information, go to www.whymilk.com. Deutsch, A Lowe and Partners Company, is the creative agency for the National Milk Mustache "got milk? "® Campaign.